I was looking forward to this photoshoot. 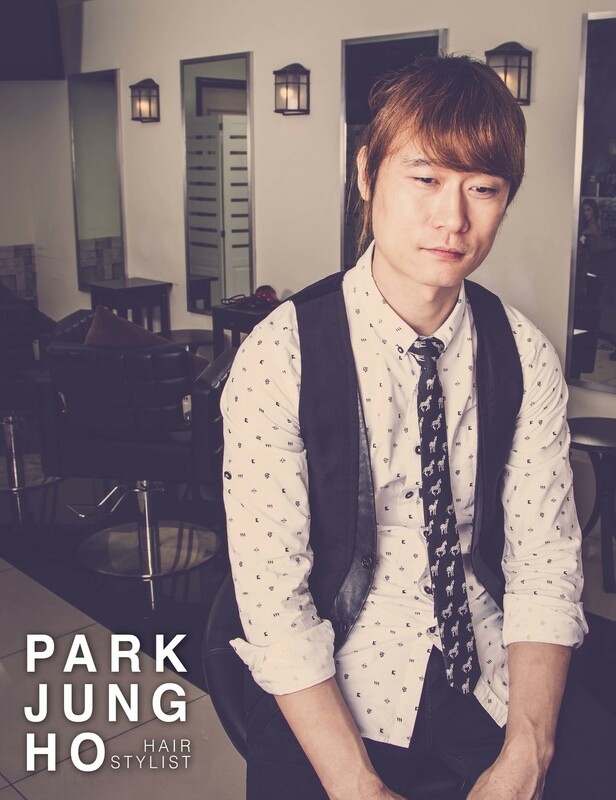 Park Jung Ho is a Korean hair stylist based in Penang, Malaysia. His story is a story of humble beginnings. He first came to Penang about 6 years ago with almost nothing. Almost no money and almost no english. Actually... No english at all ! He started his business with a friend in Ampang, Kuala Lumpur. The area wasn't the best first experience for him and business wasn't smooth-sailing. Long story short, he ended up in Penang and that was how I got to know him. He is a very soft-spoken and friendly person. He has improved his english since then and is always nice to have conversations with him. When he felt that it was time to design a logo, start a Facebook page and a website (coming soon), I was more than happy to help. As a korean hair-stylist, his hair cutting, styling and techniques definitely gives you a final korean-inspired look. He is meticulous. He takes time to ask what you want and also suggests what he thinks suits your face shape and image. He shapes your hair TO your face. I think all these sets him apart from some other hair-stylist or saloons. If you're looking for a korean haircut (Kpop is popular nowadays, isn't it ?) I highly recommend him as a hair-stylist and also a friend.